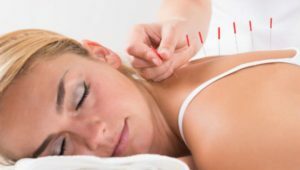 Alternative medicine is big business in the U.S. A 2016 report found that Americans spent more than $30 billion on alternative therapies in 2012. That includes treatments such as homeopathy and acupuncture as well as supplements, yoga and meditation. The report, released jointly by the National Center for Complementary and Integrative Health (NCCIH) and the Centers for Disease Control and Prevention, found that 59 million Americans sought out some type of alternative therapy. Most of the alternative therapies are being used by adults, not children, the researchers found. Of the $30.2 billion, about $28 billion was spent on adults, compared to $1.9 billion for children. 1. Can you name some alternative medicine/therapies practiced in your country? Which of those have you tried? Please share your experience. 2. Do conventional doctors in your country recommend alternative medicine? Is it covered by your insurance? 670 Alternative medicine is now a $30 billion industry. But does it work?